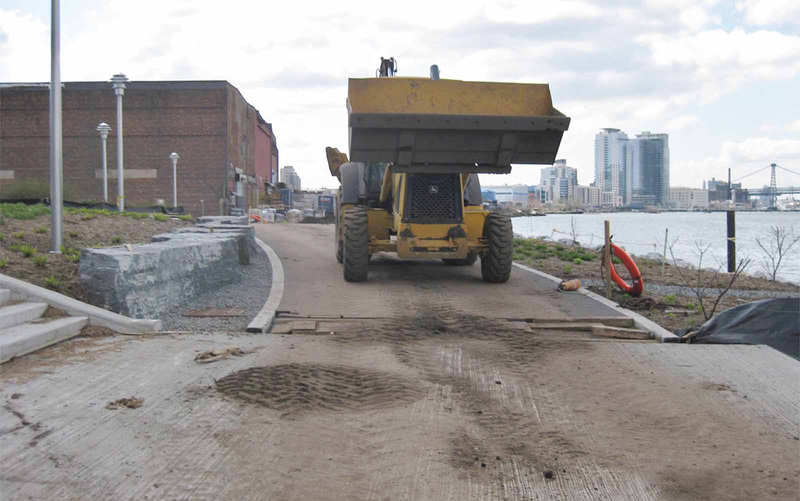 SiteWorks was part of the resident engineering team for the construction of a new 1.6-acre waterfront park adjacent to Kent Street in Greenpoint, Brooklyn. The site originally contained two abandoned ferry slips, and a building that served as a transmission facility for WNYC radio for over 50 years. 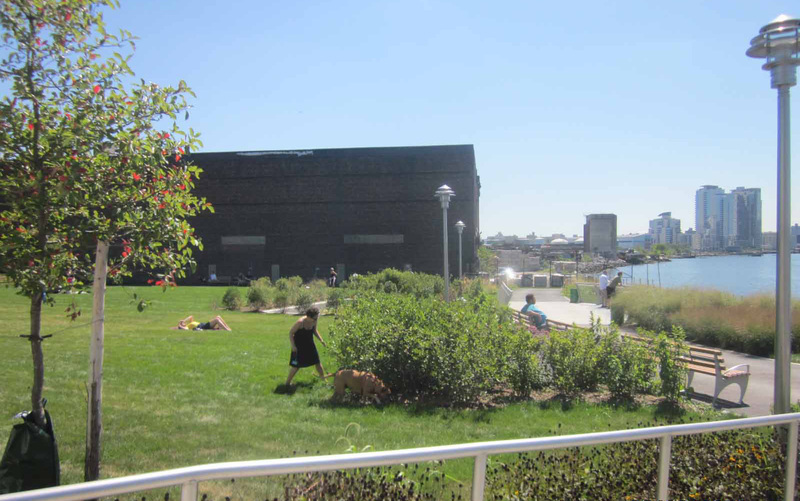 The development of the park has transformed this disused industrial site into an inviting green public space. 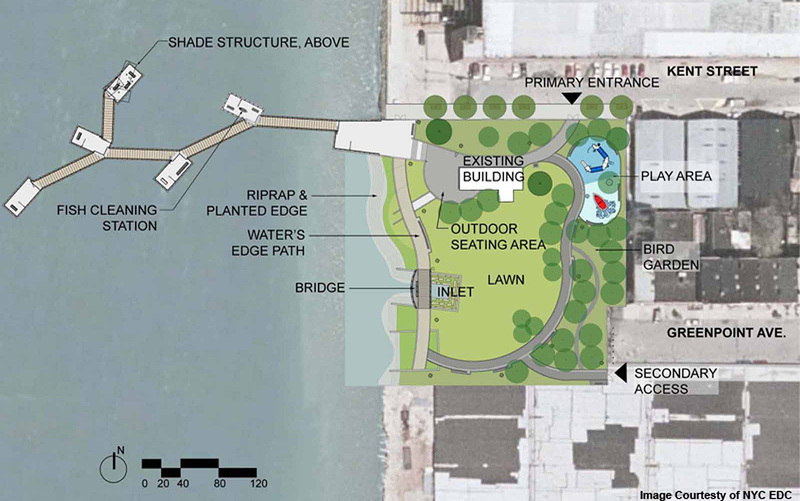 The park includes a children’s play area with a water feature, an open lawn area, plantings, new walkways and a waterfront esplanade and a new pedestrian pier that extends over the East River. 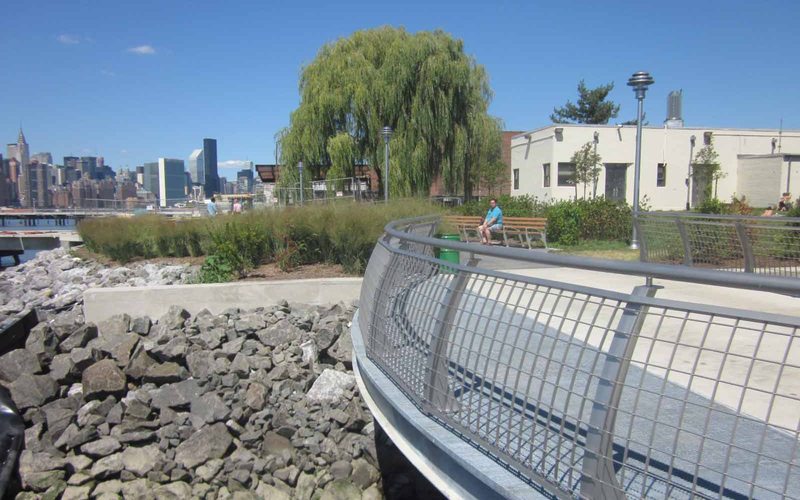 The project also included the construction of river-edge biofiltration areas, to naturally filter urban stormwater. 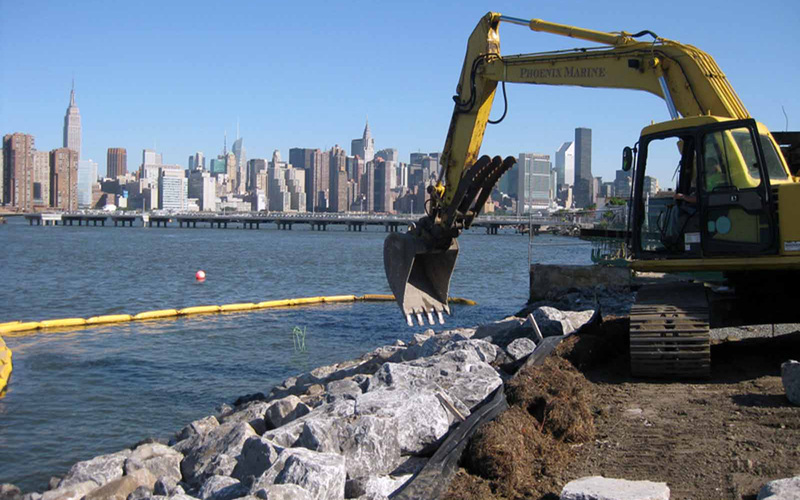 In addition to coordinating the work for planting and soil installation as well adjacent related hardscape improvements, SiteWorks worked directly with NYC Department of Parks and Recreation to ensure the project was executed in accordance with Department of Parks and Recreation construction standards. SiteWorks’s arborist oversaw the transplanting of large caliper trees, including a 12” caliper pin oak and an 8” caliper hawthorne and a 16” caliper fig tree.